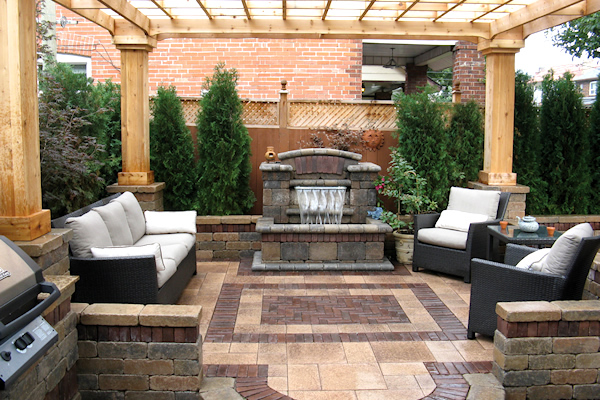 We are ready to help you create incredible looking outdoor living spaces. 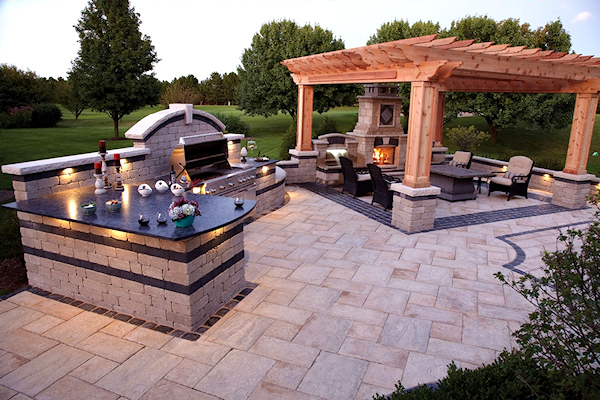 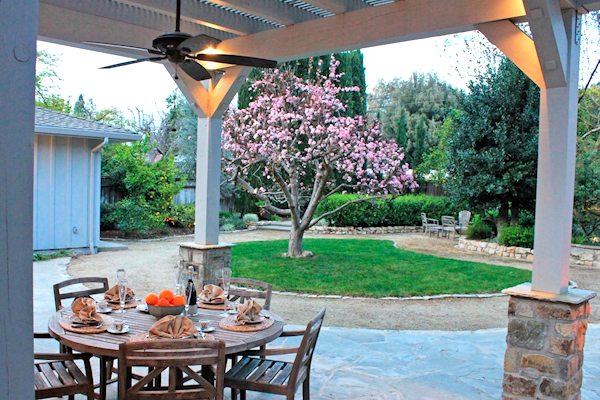 Expand your living space to the great outdoors with an outdoor kitchen, entertaining area, stone columns, and more. 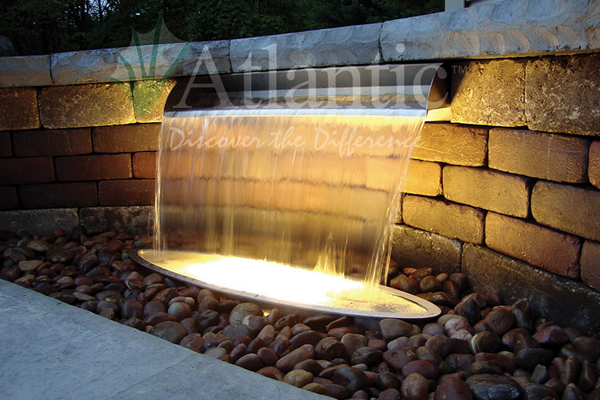 We are an authorized dealer of the following suppliers and manufacturers. 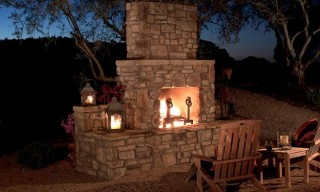 Photos and information shown below is provided courtesy of Eldorado Stone's website. 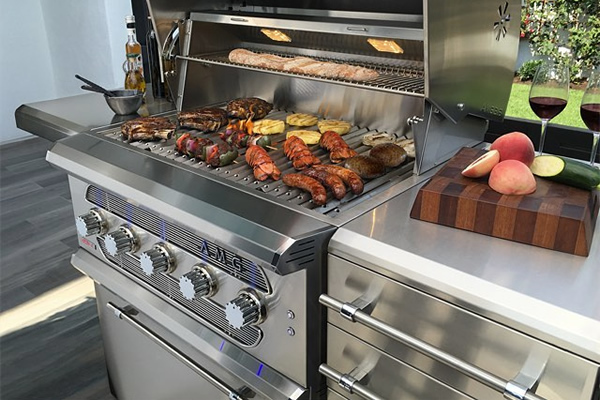 This option is for quick & easy assembly. 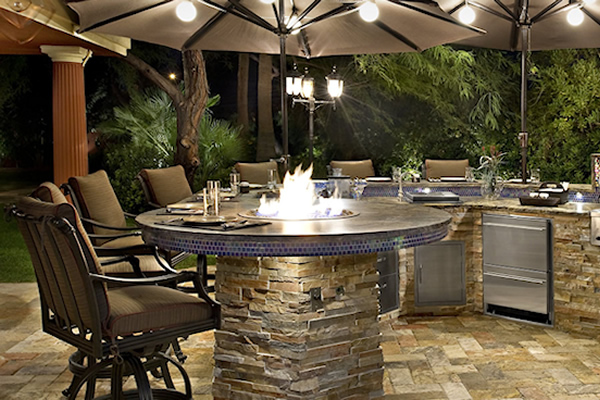 Eldorado Outdoor products quickly assemble into a virtually limitless combination of configurations. 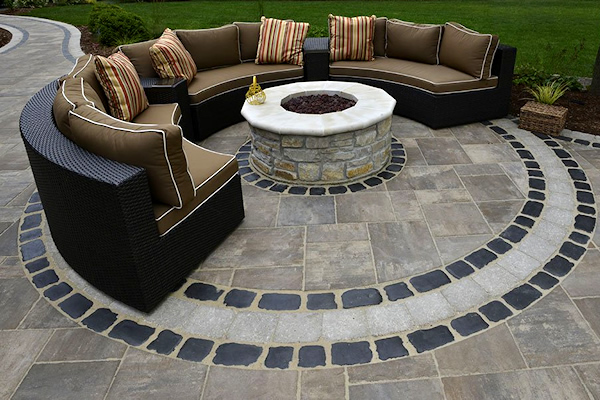 Each piece is made of glass-fiber reinforced concrete which can be installed on any solid flooring surface without concrete footings or rebar. 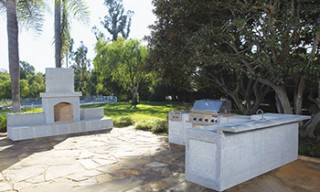 Eliminated is construction waste and additional time associated with traditional masonry block installations. 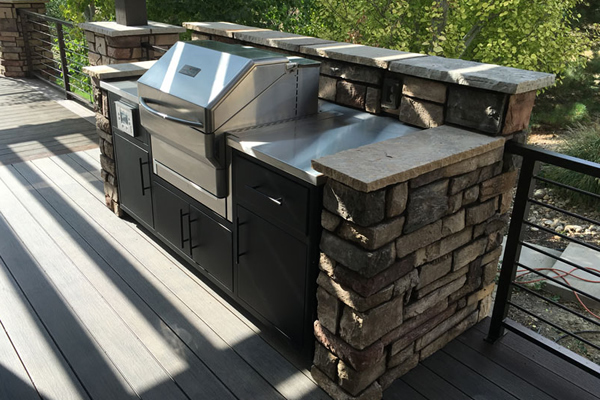 These products can be assembled in just hours; even cut-outs for custom features such as barbecues, sinks, drawers and burners can be done on-site. 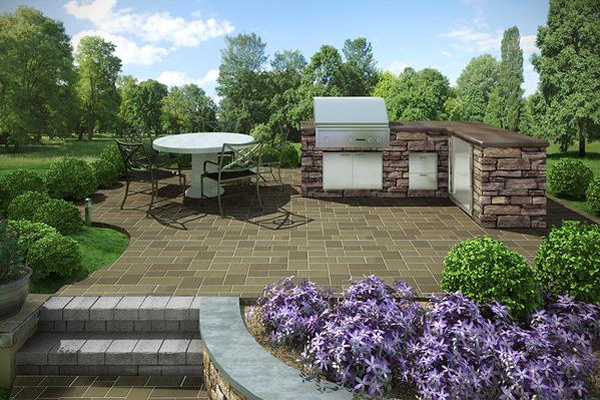 Pre-designed, ready to install. 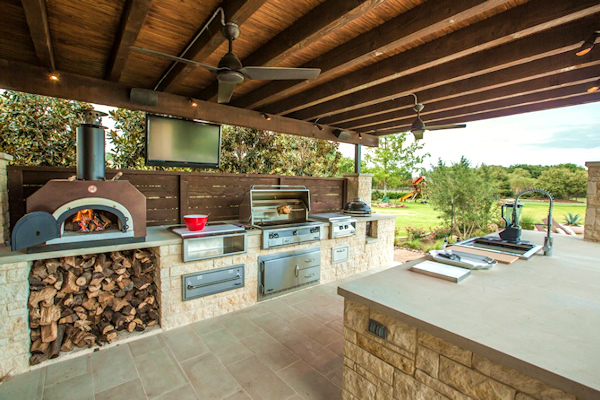 Signature Kitchens allow you to construct the perfect outdoor kitchen in days vs. weeks. 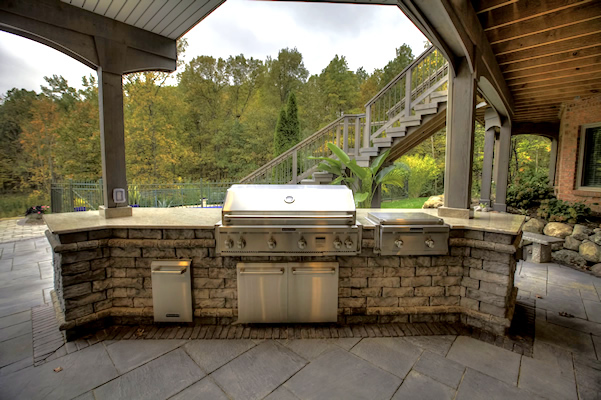 Each kitchen has been pre-designed to fit a variety of size and style configurations and come complete with all necessary cabinets, bolts and end-caps. 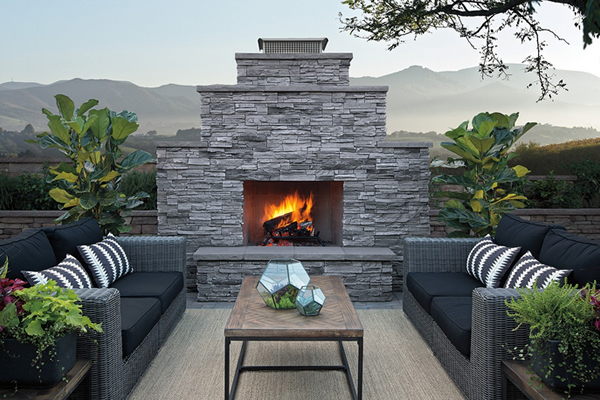 You can select from eight of Eldorado Stone's most popular stone profiles. 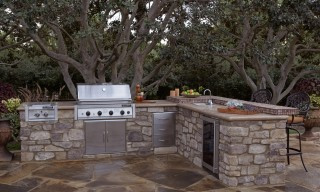 Finalize your outdoor design by selecting the appliances and countertop material of your choice. 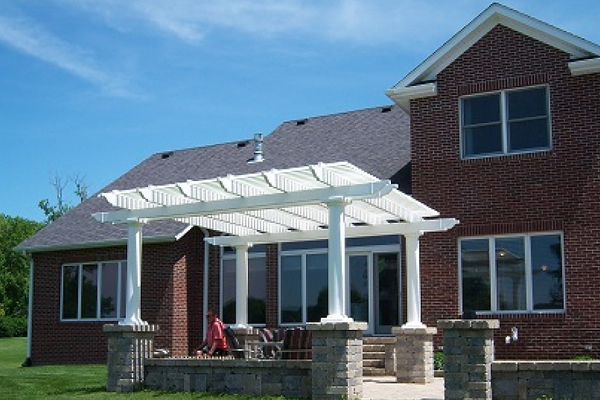 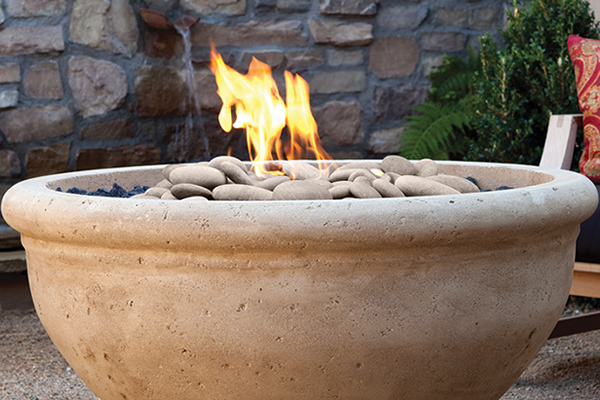 Visit our Specialty Products page for additional outdoor living products.